Viewpoint Psychology and Wellness specializes in psychological testing and assessments designed to identify cognitive, emotional and behavioral issues. 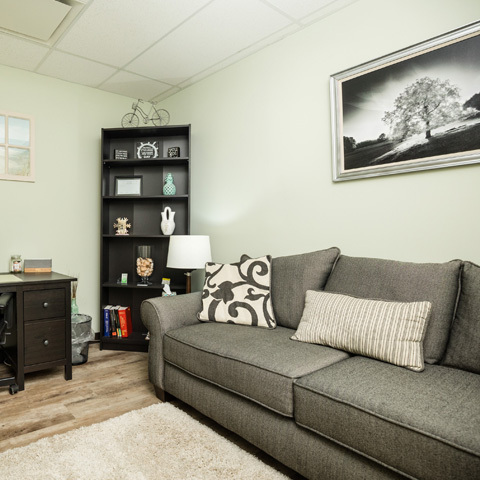 We specialize in administering psychological and neuropsychological testing to children, adolescents, and adults. Patients are often referred to us for an assessment by parents, schools, employers, physicians, or therapists. An assessment examines the relationships between an individual’s behaviors, academic or work abilities, cognitive functioning, and emotional functioning. Psychological testing can be greatly beneficial to treatment because standardized questionnaires, computer-based instruments, and interactive tests can help identify an individual's diagnosis. The results of the assessment are then used to indicate the best treatment options available for the individual, as well as determine if interventions or accommodations are necessary in academic or work environments. Testing is an effective way to improve the way in which a provider such as a teacher, therapist, or physician proceeds with an individual. Our providers are trained in recognizing when testing will be useful, as well as the type and level required. What are Common Reasons People Undergo Psychological Testing? Cognitive assessments are utilized as a way to determine the impact of intellectual ability, academic or work skills, behaviors, and cognitive functioning on academic, work, and psychological functioning. The results of the testing help in determining a diagnosis and appropriate treatment of developmental, educational, occupational, medical, psychiatric, and cognitive concerns. Parents, teachers, employers, or other health care professionals request emotional and behavioral assessments when a child, adolescent, or adult is struggling in school, at work, at home, or in peer and significant relationships. Emotional and behavioral assessments are also requested by therapists when starting treatment or if they have a question about the individual regarding diagnosis or treatment planning. If you have concerns about yourself or your child, an assessment may be the perfect tool to help you get the answers and help that you need. Please contact Viewpoint Psychology and Wellness to learn about setting up an assessment today.